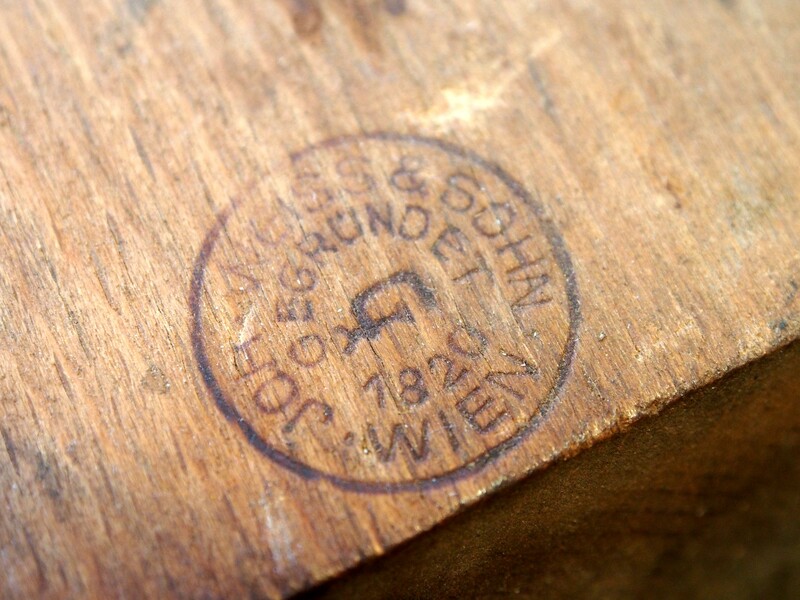 Last fall I bought a 60cm wooden jointer plane made by Johann Weiss & Son, from Vienna (Austria). It is challenging finding wooden planes made in Europe, and for C$20, it was a bargain. The date at which this company was founded seem a little vague. After reading the literature, it seems as though the factory was founded in the 1820s by Bavarian cabinetmaker Johann Baptist Weiss, who emigrated to Vienna in 1809. 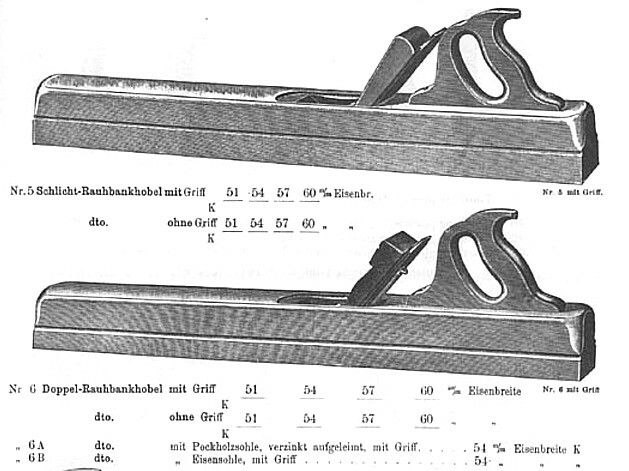 The plane is a “Doppel-Rauhbankhobel mit Griff” – jointer plane (1909). The trademark on the blade is an Austrian eagle above a C-clamp surrounded by the company name. 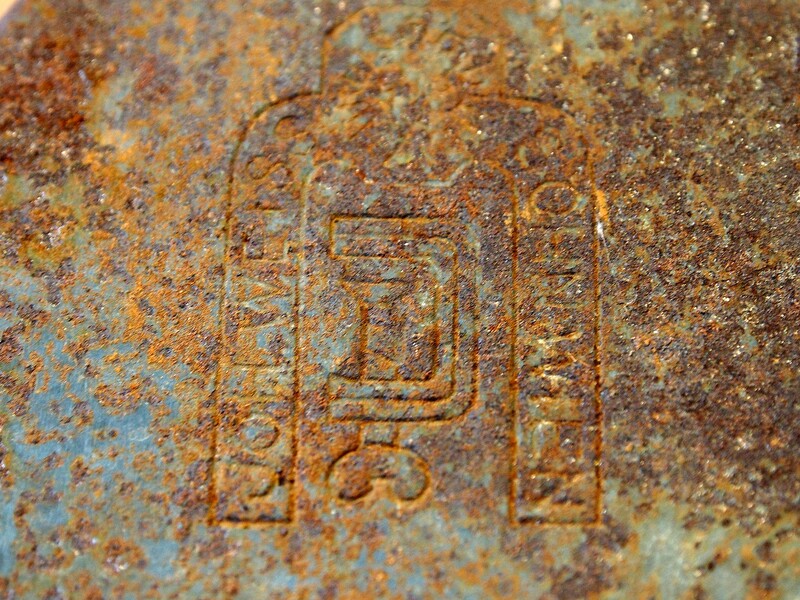 Apparently, prior to taking over iron manufacturer Franz Wertheim in 1911, plane irons were supplied by the firm Herman, and therefore have HERMAN stamped on the iron. This blade lacks that marking, so I would imagine it was manufactured after 1911. The art for the trademark on the blade seems to have been modified in 1897. There are some cracks in the handle (which is also slightly warped), and there is de-lamination of the sole at one end, but I will try and re-glue it (a future post). 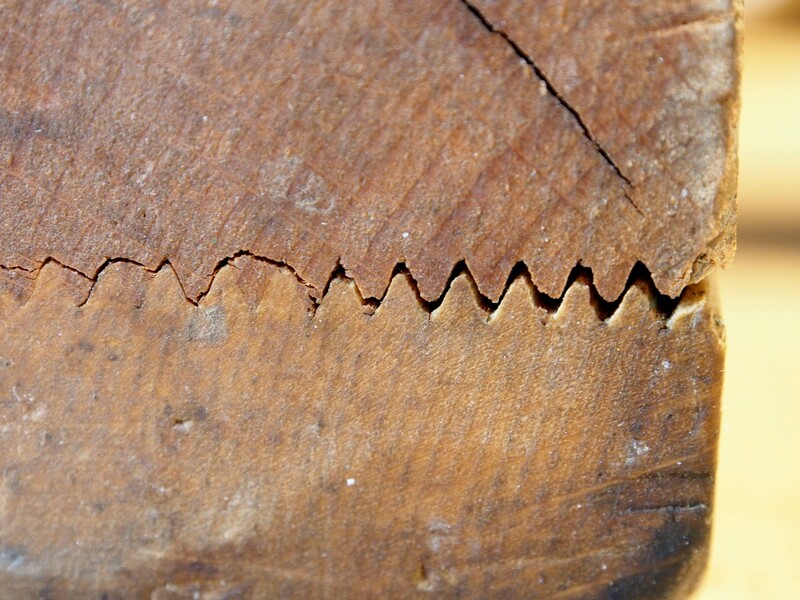 This plane is likely constructed of beech, and has a laminated sole, which is laminated using a “V” shaped series of diagonal groves( as shown below). 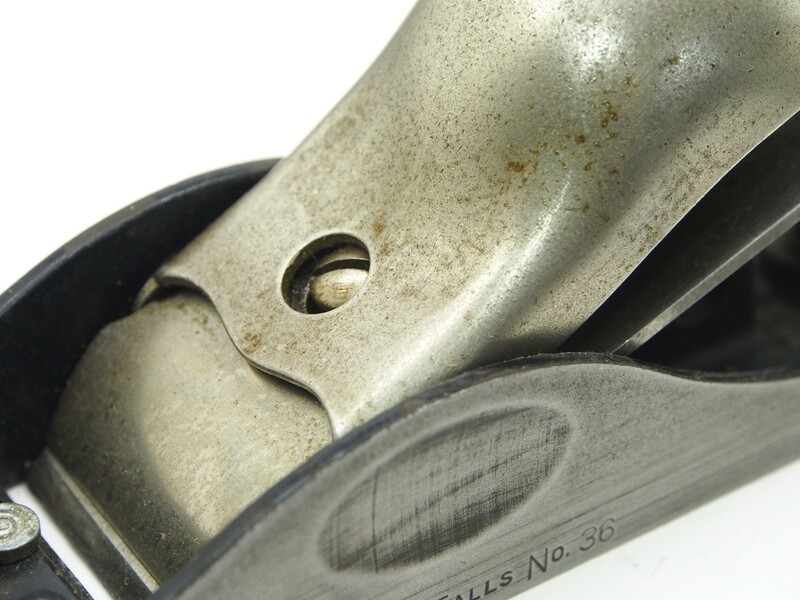 Of the knuckle lever-caps, two were designed very similar to Stanley, from the perspective of appearance: Record and Millers Falls. 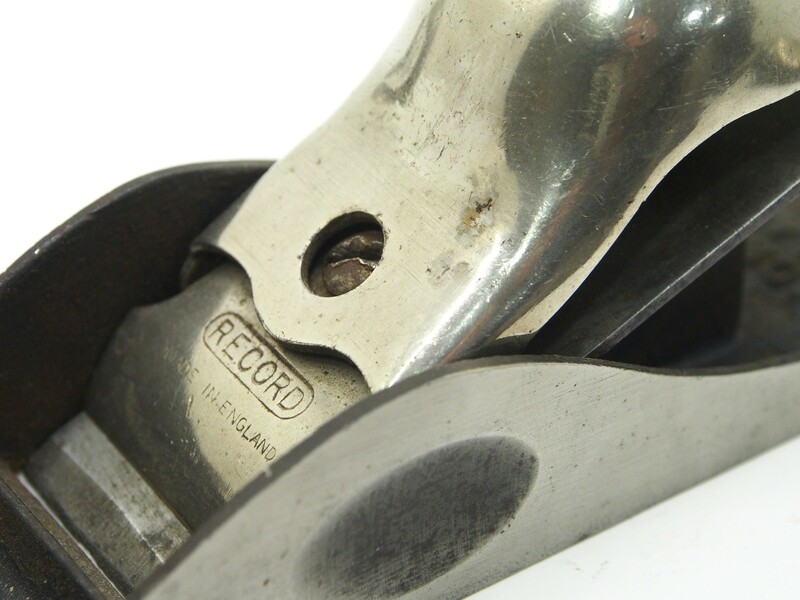 The first of these is that of Record (U.K.), which produced a knuckle lever cap similar to that of Stanley, but with a different mechanism on their No.018, 019, and 0230 block planes, The No.018 was manufactured from 1934 to 1967, the No.019 from 1934 to 1943, and the No.0230 from 1932 to 1943. The cam mechanism is almost identical to that of Stanley. Millers Falls also produced a few knuckle-lever block planes: the No.47 (1929-1948), and the No.36, and No.37 (1929-1961), the latter two analogous to the Stanley No.18, and No.19 respectively. From the visual perspective, there is nothing which separates this knuckle lever cap from that of Stanley, or Record. Unlike the Stanley KLC which uses one cam-point, the Millers Falls uses two points which contact the blade when the cam mechanism is activated. The mechanism has three parts, as opposed to the four of Stanley. The cam lever is joined to the base plate by means of a pivot which moves along a grove. The point of contact with the underside of the palm-rest is also different, in the Millers Falls plane it sits to the rear of the lever cap.